MILWAUKEE (August, 2012) The new Headlamp Modulation Kit ($99.95) from Harley-Davidson Genuine Motor Accessories® flashes a low beam from full- to low-intensity four times per second to make the bike and rider more conspicuous on the road. 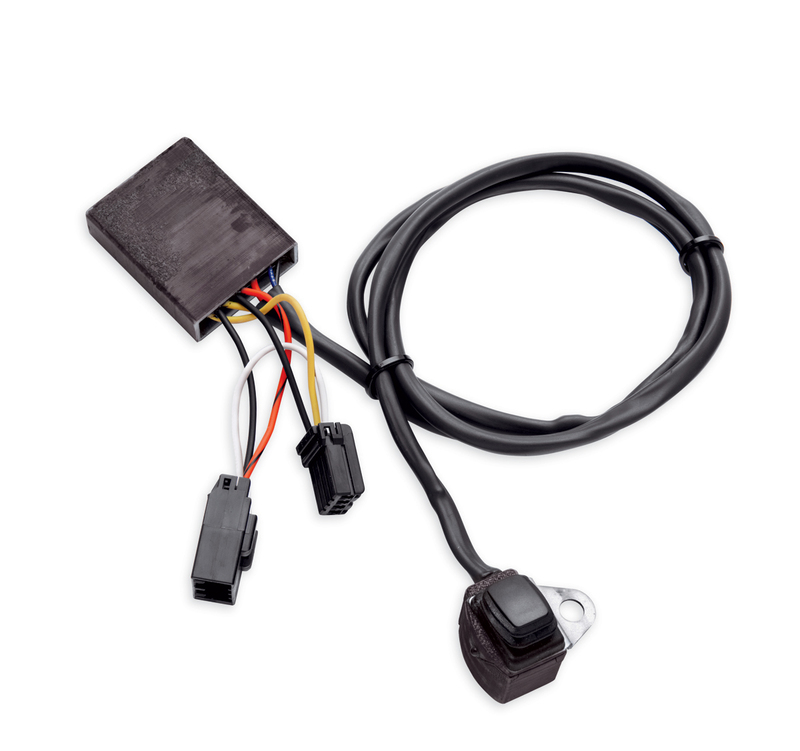 The Headlamp Modulation Kit includes an override switch to allow the rider to activate modulation when desired and features a light sensor so modulation will only occur during daytime. Two versions are offered: P/N 67700139 fits 2012 Dyna® Switchback, 1987-later Electra Glide®, Street Glide®, and Road King® models, and 1998-later Road Glide® models. P/N 67700078 fits 2005-later V-Rod™, 2004-later Sportster®, Softail® and most Dyna models. Not compatible with HID or LED Headlamps. See an authorized Harley-Davidson dealer for fitment details.